In a Jan. 15 filing, Dartmouth denied allegations that its administration ignored years of sexual harassment by former professors Todd Heatherton, William Kelley and Paul Whalen of the psychological and brain sciences department. The filing is a response to a $70 million class action filed by seven women against the College last November. In particular, the College claims that “relevant personnel” were unaware of any sexual misconduct “comparable to the serious misconduct alleged in the Complaint” until students in the PBS department brought the allegations to the Title IX office in April 2017. The formal filing admits some nuances to the College’s denial of the allegations. It acknowledges that “the Former Professors engaged in improper conduct,” but stresses that the College “took the unprecedented step of seeking to terminate the tenured employment of all three” once Dartmouth senior administration members were made aware of what had occurred. In particular, the filing says that claims of sexual assault against Whalen made in the lawsuit by one of the complainants vary from what that plaintiff initially alleged in her Title IX complaint, and that both Whalen and another woman involved dispute the nature of events. Dartmouth states that the College’s decision-makers now understand the “unacceptable environment” and inappropriate behavior between students and the three PBS professors which existed in or after 2014. The College also states in its filing that it did not improperly violate the confidentiality of complainants, as alleged by the plaintiffs in their complaint. Instead, Dartmouth says the PBS professors were made aware of the complaints against them only with the permission of the plaintiffs. The College further disputes the claims that some of the plaintiffs suffered academic retaliation for coming forward with their complaints, asserting that any academic difficulties the students faced were unrelated to their allegations regarding the PBS professors. Throughout the response, the College states that it “lacks knowledge or information sufficient” to “form a belief” about the verity of certain pieces of the original lawsuit. 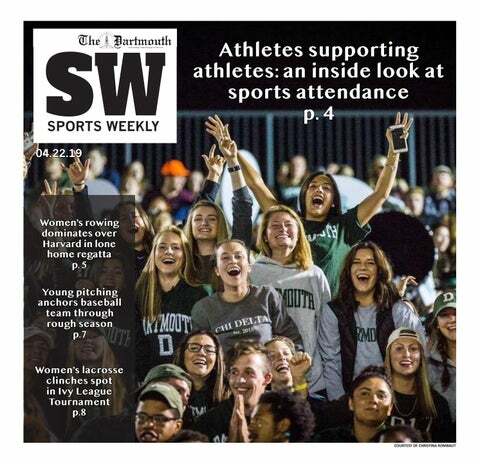 Asked for a statement, College spokesperson Diana Lawrence directed The Dartmouth to a press release summarizing and restating the claims made in the College's court filing. The Dartmouth first reported that fifteen students alleged misconduct on the part of the PBS professors in Nov. 2017.